Several years ago, I reviewed research on the power of the spoken word vs. non-verbal graphic impact. The results were stunning. 116 study participants were quizzed on brand identity, specific element recall and overall perception of commercial messages. In every one of the samples, those with audio outperformed every measurement matrix by substantial margins. In particular, participants were able to better define exactly what message the advertiser intended to convey. Participants were shown graphic ads with no audio, then the same graphics with just music and sound effects, and then the graphics with voice-overs. In roughly half of the messages, those with some audio, either sound effects or music, performed better than pure graphics, but still fell substantially short of the impact with added voice-overs. Thirty years ago, coming from a background of broadcast sales, one of the thoughts I offered prospective clients who were advertising only in the newspaper, was the idea that print ‘tells’, broadcast ‘sells’. Print may reach those actively in the market with comparison shopping figures, but broadcast reaches everyone…not only those share-of-market folks ready to pull the trigger but the entire universe of potential buyers coming down the highway in the coming weeks and months. I encouraged a mix of share-of-market print, fortified with high impact share-of-market broadcast, but also a percentage of a hare-of-mind broadcast is to nurture brand seeds for future consideration. That mix worked well, producing more consistent traffic and higher grosses. When the Internet started gaining traction 20 years ago, I opined that someday it would be the best of all worlds, combining graphic impact, real-time search updates and the dynamic power of audio and video. And that’s exactly what has happened. Yet far too many advertisers have not harnessed the multi-dimensional power the digital world can deliver. In many of the articles I’ve written over the past 20 years, I’ve suggested that even though the Internet was replacing the print formats of the past, it wasn’t limited to a pure graphic presentation, it was an information source that could not only ‘tell’, but blend broadcast modalities that allow the user to opt-in for an on-demand ‘sell’ message providing details of the product and service to a level controlled by user interest. Storytelling is king. In every demographic, wrapping your message in a story is more effective than ever before. Planting a hook early on is still important, but explaining your offer in a manner that makes sense reaps greater response and recall than a head pounding, obnoxious, annoying repetition of the offer. Effective copywriting has a profound impact on broadcast ROI. A dealer friend of mine told me the response to radio and television ads increased dramatically when he hired a retired copywriter who called to tell him that the radio ads were terrible. Now that copywriter is writing every piece of material used by the dealership in print, broadcast, internet, and internal brochures. There are lots of good copywriters out there. And with the internet, they can work with you from thousands of miles away. Digital tools allow us to easily record both audio and video clips. A popular knock-down furniture manufacturer tripled sales on his website when he added short videos demonstrating how easily, and quickly furniture items could be assembled. Quite a few dealerships now integrate both audio and video ‘click-clips’ on their websites featuring quick tours of the dealership, inventory shots, used vehicle specials, and feature demonstrations. Research has shown most web visitors do not like ‘auto-starts’ but prefer to click on presentations of interest. Don’t let your site go stale. Freshen up your site with dynamic messaging frequently. If you’re using traditional print, include the URL of a link to a message on your website. A friend of mine leads his used car print ads with ‘hot cars’, suggesting you let him give you a video walkaround at his website. He also has a recording on a special 800 number that describes ‘hot car’ specials, with the ability for a caller to leave a message for a return call. Why let a link on your Facebook or other social page ad lead to just a graphic description? Use that link to connect to a short video message that not only ‘tells’ but ‘sells’! If a customer requests information on a vehicle or a service, why not attach a short custom video from your cell phone. It’s a great way to ‘meet people’ and give them a connection with a real person. The average :60 second radio spot has 150 words. 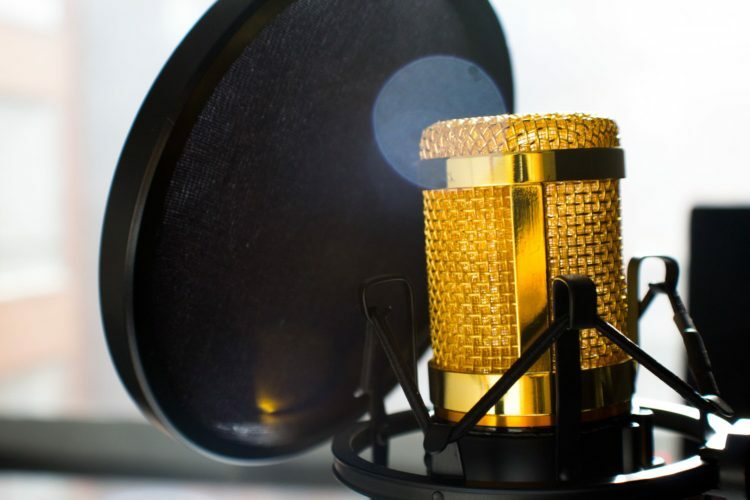 The most effective :60 second radio spots are usually 120 words or less. In broadcasting, as in real life person to person delivery, the most effective messaging is one with measured enthusiasm, thoughtful inflection, and deliberate pacing. And nothing is more powerful than a ‘pause’ in the right place, especially after you ask a question. This article originally appeared in the November 2018 Issue of Dealer.